Paired with a mirror or standing alone, this nine drawer dresser is a simple addition to your bedroom, adding style as well as storage. The crisp buttermilk finish is practical and pleasing to the eye. 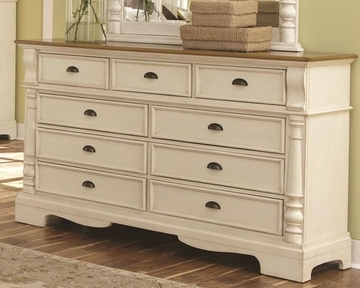 Enhance the calming environment in your bedroom while providing necessary storage with this country chic dresser.